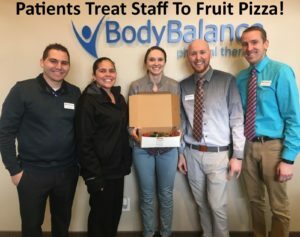 Blog Patients Treat Staff To Fruit Pizza! 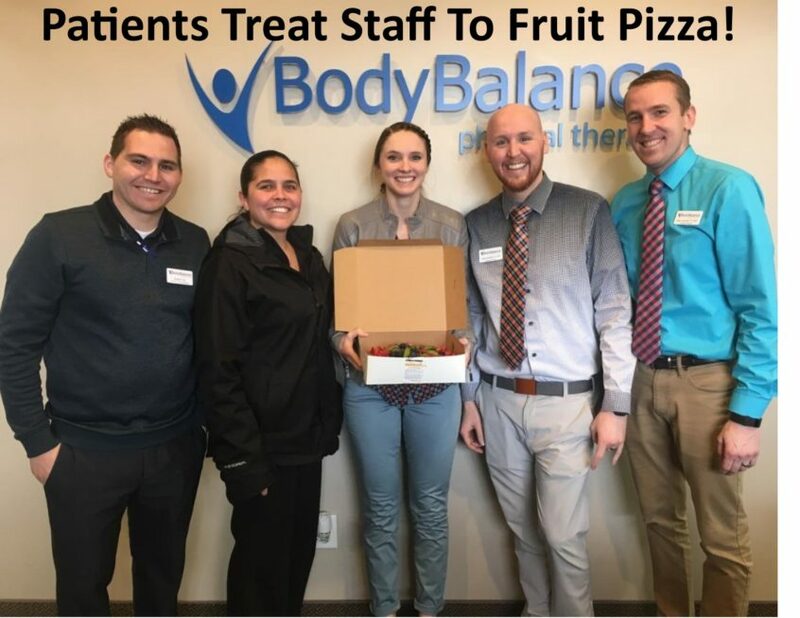 Patients Treat Staff To Fruit Pizza! 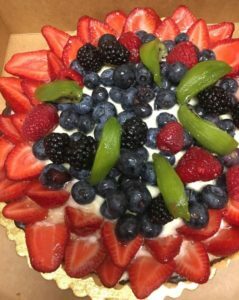 Two of our favorite patients treated the staff to a fruit pizza! You’ll love their amazing story of recovery! Here is how Lyla described her experience. Her husband John was also helped by physical therapy. Here are his words on that journey to wellness. We loved getting to know Lyla and John, and the fruit pizza was incredible! But mostly, we are so glad they are both doing better!